Want to work for yourself, but have no idea where to begin? Start by assessing yourself first. 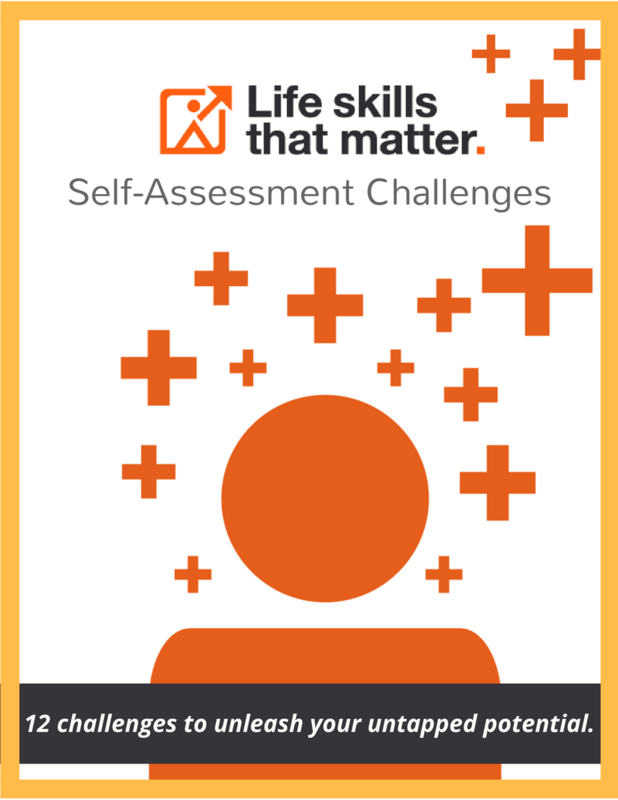 Learn more about your potential than ever before when you enroll in our 12-week self-assessment challenge for just $20! What will you learn about yourself? Starting a business doesn’t begin by getting a website, opening a business checking account or even having a viable business idea . . .
it’s assessing your first and most important resource: yourself. Identify your unproductive spending habits. Purge possessions from your life to help clarify your purpose. Create more time for your priorities. Reduce and manage your fears. Manage your energy in alignment with your goals. Cultivate a curiosity habit to boost your creativity. Meet more people who inspire you and share your interests. Recognize your learning style and what you want to learn. Learn about yourself more quickly by starting a daily writing habit. You are the common denominator in every decision that will be made in your business and you are also its biggest obstacle. The more you understand yourself, the more effectively you can manage yourself. Learning all the best business practices and tactics in the world will not sustain your motivation and make you successful if you don’t get clear about your values, needs and abilities first. Start assessing yourself now by registering for our 12-Week Self-Assessment Challenge to help you find your purpose, increase your personal productivity and make you feel less overwhelmed! When you sign up, you’ll receive a new weekly self-assessment challenge every Sunday for the next 12 weeks. #1 Focus on just one challenge for the entire week. #2 Take a minimum of 15 minutes each day to perform each weekly challenge. #3 Keep a journal to track your progress and to cultivate your self-awareness habit. #4 Be held accountable by asking a friend or colleague to do the challenges with you! For just a one-time payment of $20, find the answers you’ve been seeking! The better you know yourself, the greater clarity and confidence you’ll have to finally figure out how to design work that works for you! How are these challenge different from other personal assessments? #1 Assess multiple aspects of yourself. Most personal assessments only evaluate one aspect of yourself like your strengths, your personality type or how you take action. 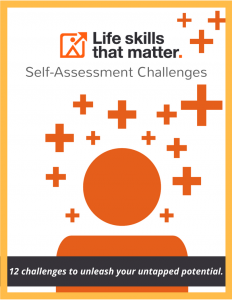 In our 12-week Self-Assessment Challenge, you’ll evaluate 10 different aspects of yourself including your energy, fears, spending habits, interaction with others, strengths, learning preferences and much more! #2 Take action to get a more honest assessment of your needs. Our challenges get you to take action by engaging with yourself, others and the world around you to get a more accurate assessment of your preferences for navigating daily life and work. When you take an online assessment, it’s a passive evaluation of how you want to present yourself to the world. Our habits and actions say more about who we are than who we think we are. #3 Learn about yourself for yourself. Our Self-Assessment Challenge is designed to help you find the answers you’ve been seeking for yourself because the most useful answers are those that lie within yourself. Getting you to take action to observe how you feel about taking that action enables you to learn more about yourself than any passive online assessment will ever teach you. You will be SO much more motivated to make a big change in your life when you know yourself for yourself!